This polymer clay vase has rich textured details, adorned with hand-sculpted lilac flowers and leaves and encrusted with amethyst gemstones. 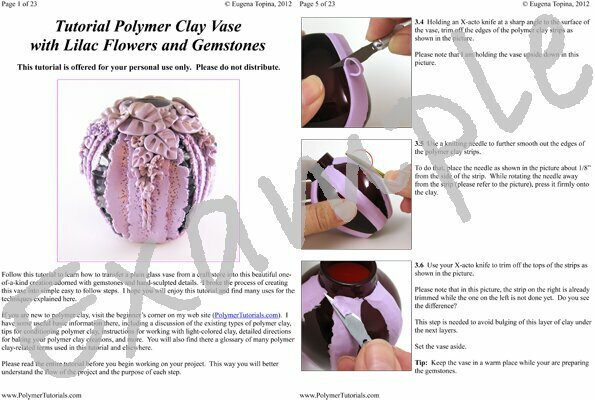 My tutorial explains how to make this beautiful vessel by covering a simple glass vase with polymer clay. The glass vase that serves as a base for this project may be purchased in any craft store for less than $3. Additional notes and tips to guide you though this project. The possibilities with this wonderful tute are endless. The ..